The biggest question is not whether the Gran Coupe is a good car – it’s certainly that – but whether it strikes the right compromise for you. It has a unique blend of talents, so if you want something a bit sleeker than a 3 Series saloon or a bit more practical than a 4 Series Coupe, this may be right up your street. 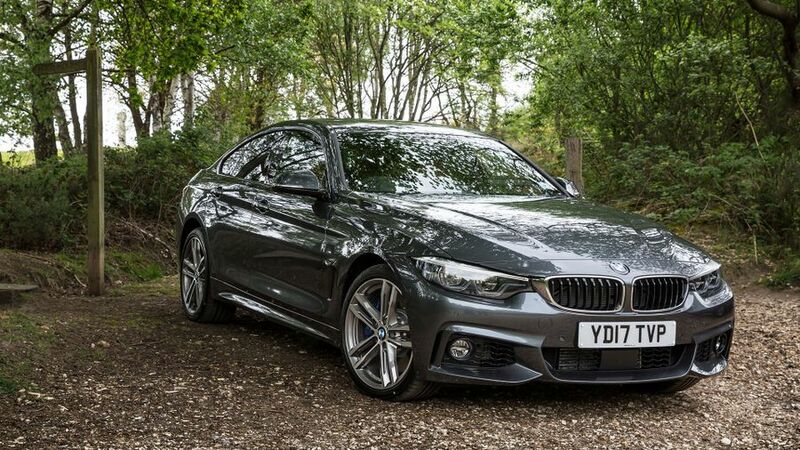 Interested in buying a BMW 4 Series Gran Coupe? Even at first sight, it’s obvious the Gran Coupe is part of the 3- and 4 Series family. Indeed, from the front grille, to as far back as the windscreen pillar, the Gran Coupe is identical to the Coupe. Beyond that, BMW obsessives will spot the Gran Coupe’s front doors are a little smaller than the Coupe’s to allow room for the rear doors. And, the Gran Coupe’s rear roofline is a little higher – to create more room for rear-seat passengers – while the rear end is a hatchback. Trouble is, to our eyes, it looks more like the 3 Series saloon in profile than a genuine coupe, and as a result isn’t perhaps as distinctive a model as it could be. It’s certainly a smart car, though – with alloy wheels and LED headlights standard across the range – while Sport and M Sport models get a little more bling than the cheaper SE-trimmed cars, including standard metallic paint on some of the most powerful cars. Step inside, and it’s all familiar fare from the 3- and 4 Series ranges, but that’s no bad thing. The classy materials, finished with metal and high-gloss black details, along with the deftly damped switches, give the interior a real sense of sophistication, and the simple-to-use iDrive infotainment system lends a high-tech feel as well. You can add to this further still by specifying the optional fully digital dashboard. Everything is well built, too, and other than the pedals, which are slightly offset to the right, there are no complaints about the driving position, with plenty of adjustment on the seat and steering wheel. If there is a criticism, it’s that BMW takes second place to Audi for outright cabin quality these days. The Gran Coupe is certainly more practical than the 4 Series Coupe, but that doesn’t mean it’s a full-on family car. Even with the shrunken front doors, the rear doors are quite small, so passengers of six feet or more will find it a bit a bit of a squeeze getting in. nce they’re there, they’ll find space a little tight, too, especially if the front seat passengers have their seats pushed well back. An Audi A5 Sportback has more space for rear-seat passengers, although neither of these two is really a five-seater, as the centre seat is narrow and space for feet severely restricted by the transmission tunnel in the floor. However, the Gran Coupe’s boot is the same size as its Audi rival’s (and bigger than the 4 Series Coupe’s), and easy to access because of the hatchback rear. Then again, if you do want more space and practicality, your BMW salesperson will happily point you in the direction of one of the 3 Series models. 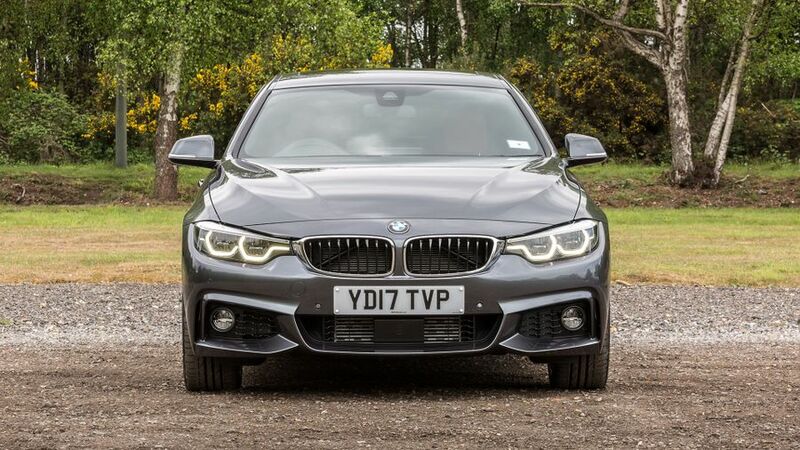 Every model in the 3 and 4 Series ranges is superb to drive, and the Gran Coupe is no exception. Why? Well, there’s just something about the balance between ride and handling, and between comfort and control, that BMW does better than anyone else in this area of the market. Fun in the bends, but still quiet and comfortable on the motorway, the 4 Series Gran Coupe is a really enjoyable car to drive, no matter where and how you’re driving it. Our one word of caution is that this isn’t quite as sharp as a genuine sportscar, but the overwhelmingly sure-footed feel means it’s very easy to keep up a sportscar-like pace across country. When you find yourself on a less demanding main road, it all feels beautifully smooth, and more than capable of traveling long distances in complete comfort. In other words, treat it as a grand tourer, and you’ll be playing to its strengths. There’s a wide range of engines in the Gran Coupe range, but so far we’ve only driven the most powerful, the six-cylinder petrol engine in the 440i. 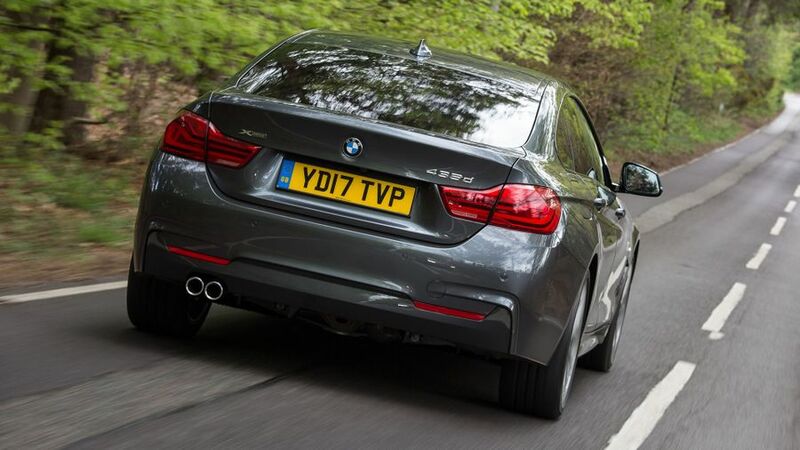 Even by the standards of the 4 Series range – where no engine is a slouch – this is a very quick car. What impresses you most is not the outright speed it’s capable of, more the apparent lack of effort involved. That’s because the peak pulling power arrives at less than 1500rpm and hangs around all the way until 5000rpm, so whenever you put your foot down, the car responds really keenly, while the standard automatic gearbox has the very pleasant habit of almost always being in the right gear at the right time. That makes this a tremendously undemanding car to drive, and reinforces our feeling that this is best treated as an easy-natured, but quick grand tourer. Not only is there a wide range of Gran Coupes to choose from – including four-wheel drive versions and a fleet-friendly SE trim that isn’t available in either the 4 Series Coupe or Convertible ranges – you may also be surprised to hear that the Gran Coupe costs the same as the regular (smaller and less practical) Coupe. On top of that, across the range, you’ll find economy and emissions that compare favourably with comparable engines in its rivals, while the car’s exclusive nature should ensure strong residual values, keeping whole-life costs down. However, it’s worth bearing in mind that, to some untrained eyes, the Gran Coupe looks remarkably similar to the 3 Series saloon. The saloon is more spacious for rear-seat passengers, costs thousands less to buy and, thanks to its lower list price, is cheaper on company car tax. The quality and attention to detail with which the 4 Series is assembled should give you plenty of confidence in how well it’ll last. If you scan our Owner Reviews of the pre-facelift Gran Coupe, all you’ll find are happy customers. However, you can find a slightly different picture if you look elsewhere: BMW currently languishes well down in the bottom half of Warranty Direct’s manufacturer standings, for instance. The 4 Series – in any form – has not been crash-tested by the experts at Euro NCAP. 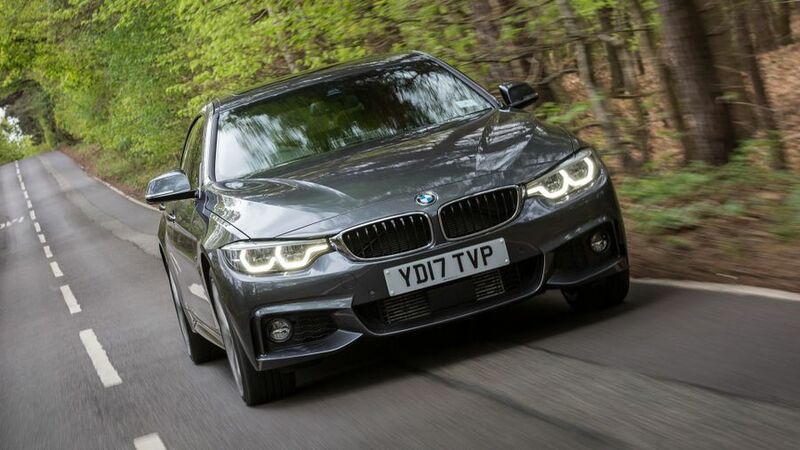 However, the 3 Series saloon, with which the 4 Series shares most of its mechanicals, has achieved the full five-star rating, albeit under regulations that are less stringent than today’s. In terms of its standard specification, the Gran Coupe is identical to the Coupe, so every model comes with a stability control system and six airbags, and there are many more safety measures available on the options list. These include a Lane Change Warning system (warning of traffic in a blind spot when changing lane), adaptive cruise control, and the Driving Assistant Pack, which gathers together Lane Departure Warning, Forward Collision Warning, and City Collision Mitigation (autonomous braking). 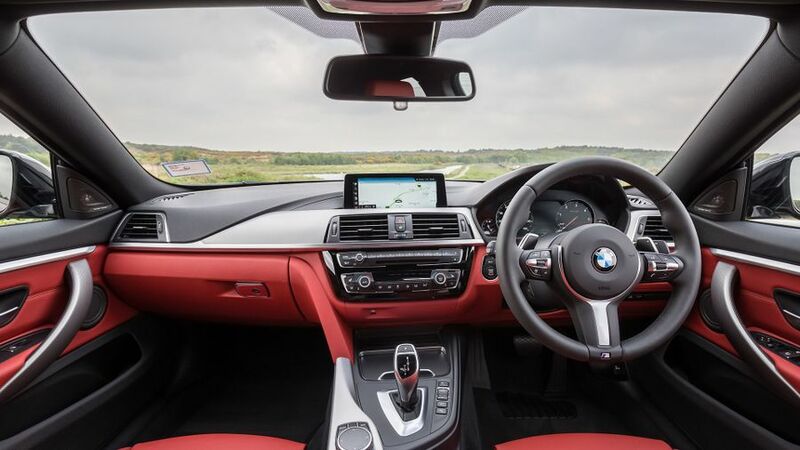 Unlike other 4 Series models, the Gran Coupe has a basic SE trim level aimed particularly at the company car market, but even so, standard equipment levels are very good. Every model comes with front and rear parking sensors, heated front seats with part-electric adjustment, leather upholstery, dual-zone climate control, cruise control, sat-nav, Bluetooth, and a DAB radio as standard. 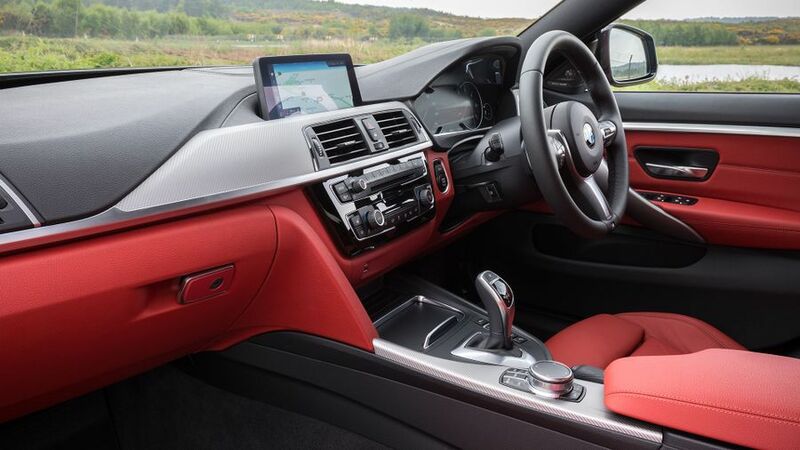 The biggest differences if you step up to Sport or M Sport trims are aesthetic – different trim inside and out, primarily – but you do get the upgraded ‘Professional’ infotainment system with the top M Sport package. Beyond that, there are plenty of options to tempt you, covering everything from the way the car looks, to its connectivity, technology and comfort. You’d choose a Gran Coupe because it gives you the right blend of attributes. While the distinction between BMW’s various models in the 3 and 4 Series ranges is very fine, this model is unique. So, if you want a car a bit more practical than a 4 Series Coupe, and are after something rather more stylish and exclusive than a 3 Series saloon and can sacrifice a little space, this could well be the car for you. After all, it certainly has all the attributes for which BMW has rightly become renowned: good quality, decent running costs, and a fine drive.